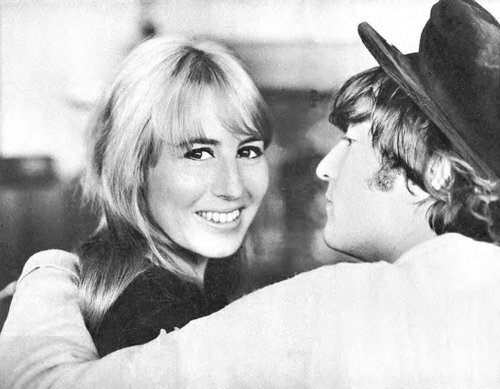 John and Cyn. . Wallpaper and background images in the John Lennon club tagged: john lennon cynthia lennon 1960s. This John Lennon photo contains 모자 챙 모자를 스냅, 모자, 스냅 챙 모자, 캠페인 모자, 운동 모자, 페도라, 펠트 모자, homburg, 스텟 슨, 트릴, 훔굼, 스테 트론, 트릴 비, 페도라 펠트 모자, 홈 부르 크, stetson, and trilby. There might also be 기사 모자, 소프트 모자, 무심코 모자, 헐렁한 모자, 무심 한 모자, 모자 모자, 속 모자, 헬멧, 태양 헬멧, 헬멧 모자, 토피, 피스 모자, 수탉 헬멧, topee, topi, 코르크 모자, 서 모, and 토 피.